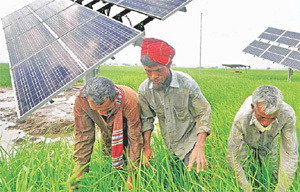 Bangladesh has become the first country to get funds from the United Nations for its fast growing solar home systems, which are not only lighting up houses in off-grid villages but also showing the world the way to a low-carbon future. 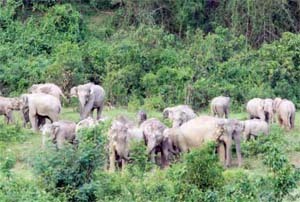 At least 226 people died and 62 elephants were killed in last 12years and a half in growing incidents of human-elephant conflicts, said forest officials. They as well as wildlife conservationists blamed destruction of elephant habitats as the main cause for the incidents. They said that elephants were being squeezed into smaller habitats due to destruction of forest cover. Who says bowlers should have all the fun? Ask Soumya Sarkar and Tamim Iqbal, and they will tell you that that opening period of the second innings, when they literally demolished one of the best bowling attacks in the world, was the highlight of the series against South Africa. a team affectionately called Tigers. 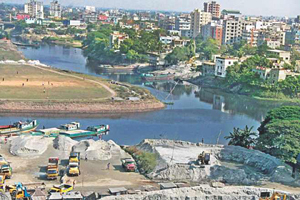 With groundwater depleting fast in the capital, Dhaka Wasa is going to set up three more water treatment plants to increase the use of surface water significantly in the next seven years. The plants will be installed at Gandhabpur of Rupganj, Jasaldi in Mawa and Sayedabad in the capital at an estimated cost of around $1.5 billion, a top Wasa official told The Daily Star on condition of anonymity. 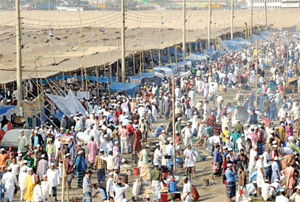 Thousands of pilgrims reached the banks of the Turag river in Tongi on Thursday on the eve of Bishwa Ijtema. 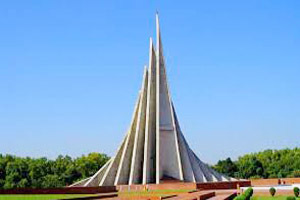 The nation would celebrate the 43rd Victory Day on Monday to pay homage to the sons of the soil whose supreme sacrifice brought Independence on this day in 1971. The day is a public holiday. The day will be celebrated across the country and Bangladesh’s missions abroad will pay glowing tributes to Bangabandhu Sheikh Mujibur Rahman for leading the nation towards Independence. 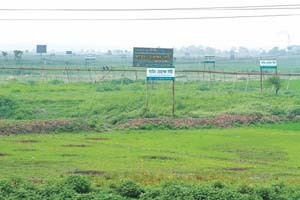 Land developers are illegally filling up vast areas of wetland and converting huge areas of seasonal cropland to launch housing projects along the Dhaka-Mawa Highway. All the laws and policies formulated over the years to protect the environment have simply become a farce as the authorities concerned are turning a blind eye to the misdeed. Bangladesh knocked off a target of over 300 runs to romp to a four-wicket win in the third one-day international, inflicting a 3-0 defeat on New Zealand in the three-match series at Fatullah on Sunday. 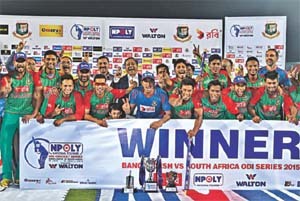 The clean sweep victory, which came against the backdrop of a 4-0 win in the previous series between the sides, reconfirmed Bangladesh’s status as a force in one-day cricket to be reckoned with. 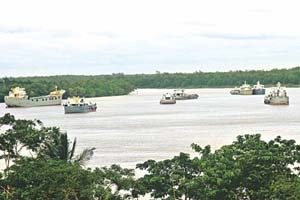 A temporary water transport channel through the Sundarbans has turned into a regular route over the last two years as the authorities concerned have yet to restore the navigability of the original route. Subsequently, the ecosystem and wildlife of the forest are being seriously disturbed by the daily movement of around 150 motor cargo vessels coming from Chittagong, Dhaka and even India. 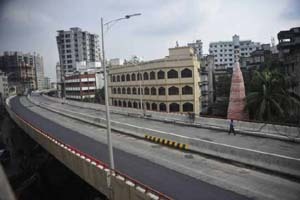 The much-awaited 10-kilometre-long Jatrabari flyover in the capital opens to the public today over three years after its construction work began. Prime Minister Sheikh Hasina is scheduled to open the flyover at Shanir Akhra point near Dhaka-Chittagong highway at 3:00pm. She will later address an inaugural ceremony of the flyover opening at Osmani Memorial Hall, said officials of Dhaka South City Corporation. Battery-run rickshaws are plying many Dhaka streets flouting a government ban as the law enforcers turn a blind eye to it, allegedly taking bribes from the rickshaw owners. 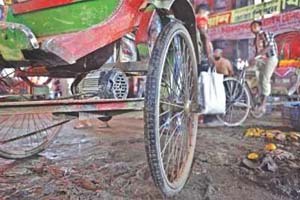 Officials at Bangladesh Road Transport Authority (BRTA) said controlling rickshaws in city is beyond their jurisdiction as those are run manually. Saiful Haque, director (engineering) at BRTA, said according to the features of a rickshaw, it can run on a speed of 5-10km per hour. Jute farmers walk a tightrope this season. So does Bangladesh Jute Mills Corporation. 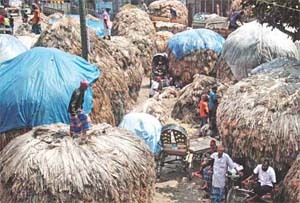 The BJMC, the biggest purchaser of raw jute in public sector, is running out of cash and is struggling to buy jute from the farmers and traders during the peak season now. With the BJMC-run mills remaining cash-strapped, jute market has lost competitiveness, and a depressed market is forcing growers to sell jute at a lower price. 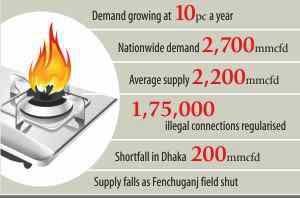 Surging illegal consumption together with spiralling demand on the one hand and a slight drop in production on the other has created an unusual gas crisis in the capital in recent weeks. the sector by next year. 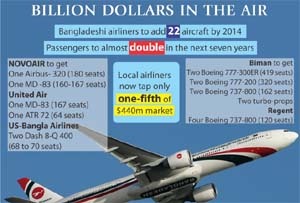 Biman Bangladesh Airlines and four other local airlines will either purchase or lease at least 22 aircraft with the sum, said officials at the civil aviation authority and the airlines. National carrier Biman plans to acquire eight aircraft, Regent Airways five, NOVOAIR four, United Airways three and US-Bangla Airlines at least two.